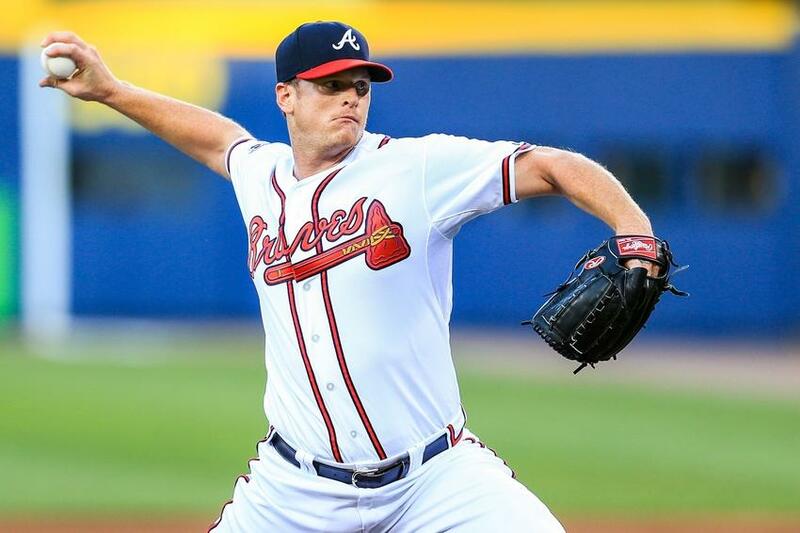 Atlanta right-hander Gavin Floyd has looked dominant in his first three starts since returning from Tommy John surgery. Specifically, Floyd has garnered a 2.41 ERA and 1.34 WHIP over 18.2 innings of work, including producing a 17/5 K/BB ratio. Floyd’s command and control have been outstanding as evidenced by his 51% ground ball rate and 13% swinging strike rate. Meanwhile, Colorado is a significantly different team away from Coors Field as evidenced by the fact that the Rockies are batting just .246 with a .296 on base percentage on foreign soil (4.0 runs per game), including hitting a mere .226 with a .275 on base percentage versus right-handed starters and .268 with a .301 on base percentage over the last ten days (3.6 runs per game). Colorado’s offense could also be without left fielder Carlos Gonzalez as he left Wednesday’s game with left index finger inflammation and did not play Thursday. I also like the fact that Floyd is supported by an excellent Atlanta bullpen that owns a 2.87 ERA and 1.22 WHIP this season, including a 2.33 ERA and 1.14 WHIP at Turner Field and a 1.62 ERA and 1.08 WHIP over the last seven games. Atlanta relievers also boast an impressive 10.63 K/9 rate in 2014. Colorado’s arrival at Turner Field invokes fond memories from last season as the Braves swept the Rockies, outscoring them 40-13 and outhitting them 55-36 between July 29 and August 1. Atlanta first baseman Freddy Freeman welcomes Colorado with open arms as he is hitting .365 (31-for-85) with a .455 on base percentage in 22 games (10 home runs, six doubles, 25 RBIs). And, while Colorado hurler Jordan Lyles takes the mound with a respectable 3.50 ERA and 1.22 WHIP, his periphery numbers are a complete mirage. Specifically, a 26% hit rate and 73% strand rate are the real reasons behind his “success” – significant regression is on the horizon. Let’s also note that Lyles was 7-9 with a 5.59 ERA in 142 innings pitched at Houston, and I can assure you that he hasn’t become an ace overnight. Lyles is also coming off his worst outing of the season wherein he allowed six runs, five hits and six walks in 3 1/3-innings against the weak-hitting Padres. From a technical standpoint, the Braves are a profitable 28-9 (+16.9 units) versus teams with a winning record, 83-37 at home, 75-35 as home favorites, 37-15 at home versus teams with a winning record and 44-20 at home in the first half of the season. Let’s also note that Atlanta is 8-2 in its last ten games as a favorite and 79-34 at home versus right-handed starters, whereas the Rockies are a money-burning 16-35 as road underdogs, 2-10 in their last 12 games on the road versus teams with a win percentage of .601 or greater and 14-38 in their last 52 meeting at Turner Field. With Atlanta standing at 19-7 in its last 26 meetings with the Rockies, take the Braves and invest with confidence. Technician’s Corner: Atlanta is 11-1 (+11.9 units) versus National League teams averaging more than 5.2 runs per game and 8-1 (+8.2 units) versus teams batting .275 or better on the season. Colorado is 3-22 (-18.0 units) on the road following a division home loss as a favorite.